Perfect Costume Idea for Costume Parties, Dress-up Parties, Hens Night Parties, Easter and Halloween! This gorgeous Beer Wench Costume includesOff shoulder top with floral print, Skirt with built in petticoat lace and attached apron, Neck choker. 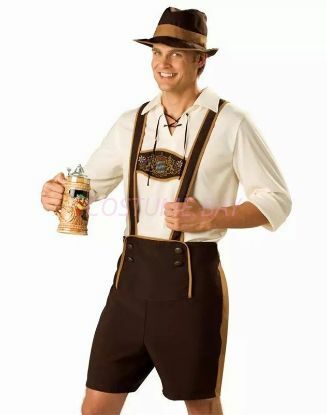 Perfect costume for Oktoberfest parties and any dress-up parties! This gorgeous Beer Wench Costume includes Off shoulder top with floral print, Skirt with built in petticoat lace and attached apron, Neck choker. Perfect costume for Oktoberfest parties and any dress-up parties! This Bavarian Guy Oktoberfest Costume includes pullover shirt and Faux Suede Shorts. Perfect costume for Oktoberfest parties and any dress-up parties! This Boys Lederhosen Oktoberfest Costume includes pullover shirt with lace-up collar, Lederhosen with elastic waistband and matching hat. Perfect costume for Oktoberfest parties and any dress-up parties! 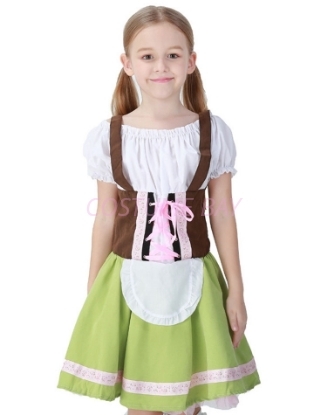 This Girls Lederhosen Oktoberfest Costume includes dress with attached apron. Copyright © 2019 CostumeBay. All rights reserved.